Many people in the UK consider island hopping in Greece to be a dream holiday. However, why only think of the Greek Islands as a vacation destination? Instead of just visiting, think about the possibility of living in one of the most idyllic places in the world, where the skies are almost perpetually sunny and warm. 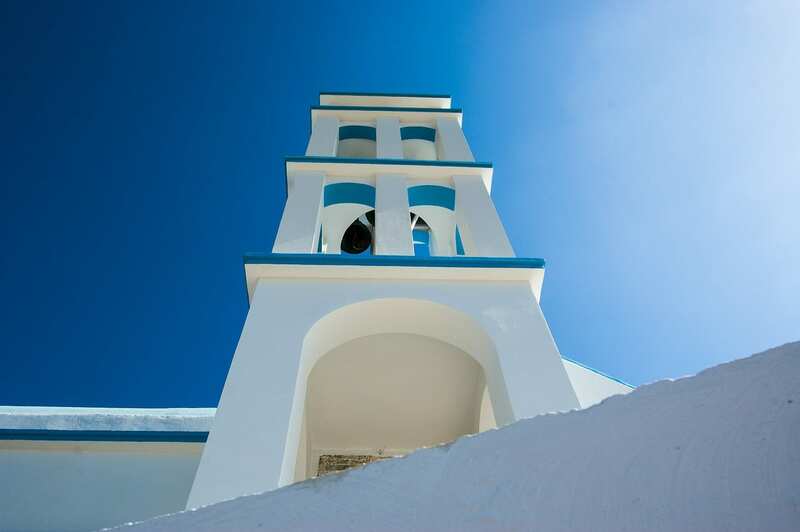 The Greek islands offer a wonderful quality of life for British expats, and many have already made the move. Here is a brief glimpse of two islands that are worth looking at for UK residents who are considering the expat lifestyle – Crete and Corfu. Crete was the birthplace of a very advanced European civilisation about 4,000 years ago, and the island now has many archaeological artefacts from its intriguing history, including the outstanding Heraklion Archaeological Museum and the spectacular Palace of Knossos dating to the Bronze Age. The rich history of Crete is just one of the reasons that so many people from the UK decide to move there. The traditional villages in Crete are very beautiful, and the island’s cuisine is unsurpassed. Meats, seafood, cheese, honey, olive oil and wine are all locally sourced and are incredibly delicious. In addition to enjoying the island’s beautiful beaches, you can go inland to check out the breathtaking panorama of jutting mountains and rolling hills. The longest gorge in Europe is in Crete, and the island also features hundreds of acres of beautiful orchards. In addition, the island offers many opportunities for snorkelling, kayaking and hiking. The island’s capital, Heraklion, offers much for UK expats. Shopping, restaurants, cafés and nightlife are available in abundance in this bustling city. Many UK expats already call Crete their home. The northern part of the island with the most populated areas is the most popular for expats, but there are expats living throughout Crete. The cost of shopping in the local markets is very affordable, and consumer goods are competitively priced. Fuel costs in Crete are more expensive than on the Greek mainland, but property rentals are very reasonable. The price to rent a modern villa in a nice location is about £520 a month, but there are many less expensive options available. Dining is also very affordable. The cost of a three-course meal with wine at a taverna or restaurant costs as little as £11 per person. For more than 3,000 years, Corfu has been an integral part of Greek culture. The island has a lot of natural attractions, including white, sandy beaches, verdant valleys, majestic mountains and cascading waterfalls. The island also has wonderful nightlife and restaurants, ancient monuments and churches, excellent golf courses and outstanding architecture. There are numerous art galleries, museums and regular concerts. Corfu town is steeped in history and is very cosmopolitan. The medieval Old City has been designated as a UNESCO World Heritage Site and exudes old-world charm. The newer portion of the town offers a wide selection of shops, restaurants, upscale bars and nightclubs. Outside of Corfu town, there are many unspoilt natural wonders and quiet hillside villages to visit and enjoy. With so much to offer, Corfu is a popular tourist destination, so it is one of the more expensive Greek islands in terms of the cost of living. However, prices are still reasonable, and Corfu has the advantage of English being widely spoken on the island. There are fantastic dining options available, with a three-course meal with wine costing around £17 per person. The prices for groceries are about the same or less than in the UK. Property rental costs vary depending on the location you chose, with rural locations being cheaper than in Corfu town or on the coast. However, it is still less expensive than in the UK, and small apartments in the centre of the town are available for around £260 per month, while a nice villa is available from £350 to £425 per month. If you’d like to plan your move overseas, contact us or check out our international removals services here.